What’s going on at Greenfield library? Mister Pickles and library visitors are shown during a Tuesday morning program at the Greenfield library. Chef Battle and others are shown during a recent Cooking Caravan event at the Greenfield Branch Library. We are down to the home stretch with our summer reading program, “Libraries Rock.” We still have great programs and activities for kids and teens as well as an abundance of wonderful book titles to add to your reading logs. We are continuing with our Wednesday morning story times in July for preschool age children and younger. Come and join us for singing, dancing, stories and other fun activities. Our senior exercise classes that are facilitated by Edgewood Manor are also held on Wednesdays from 1-2 p.m. We always see smiles on the participants’ faces so come on over and join in the fun. Our Tuesday morning programs for kids will be continuing throughout the month of July. Come and learn about past civilizations through hands-on activities during our Rock Out with Archaeology program on Tuesday, July 3 at 11 a.m. Then, join us for some cartoon fun with Scooby Doo and Kiss on Tuesday, July 10 at 11 a.m. Hop on the Magical Mystery Tour as we rock on through the decades on Tuesday, July 17 at 11 a.m. Follow the timeline as we travel through the years listening to music and performing activities that were popular during those times, and win candy and prizes along the way. Our kids programming will end on Tuesday, July 24 with our Reading Rocks Grand Finale at 11 a.m. Join us for music, dance contests and summer reading fun. The book group for fifth and sixth graders will be meeting on Thursday, July 12 at 1 p.m. Join Ashley for a book discussion, snacks, a craft, and lots of fun. We also have a “Name that Tune” contest for teen and adult patrons. Come and test your rock n’ roll knowledge by recognizing the introduction of famous songs. The last day for kids and teens to turn in their reading logs is Monday, July 30. Get the prizes you have earned and make sure you have your entry in for the Adena Healthy Kids bike and i-Pod drawings. This is also the last day for adults and teens to submit their entries for the adult summer reading prize drawings. The library will be closed on Wednesday, July 4 in observance of the Independence Day holiday. Please use our outdoor book drop to return items. We look forward to seeing you during the month of July for one of our programs or to beat the heat. We have some great summer reads on our shelves so come on in and check them out. Sharon Aukeman is the branch manager at the Greenfield Branch Library. 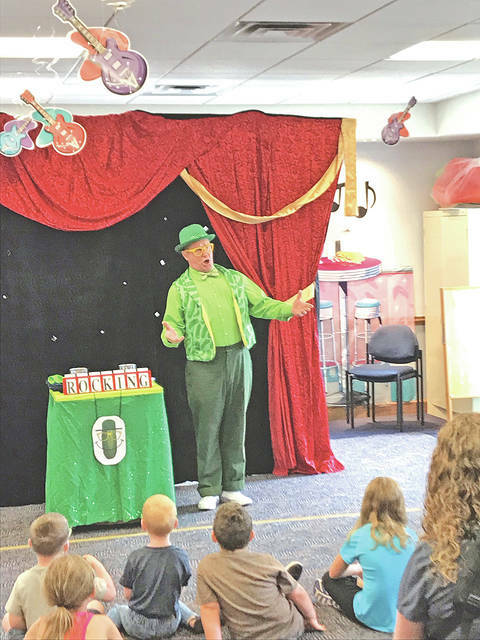 https://www.timesgazette.com/wp-content/uploads/sites/33/2018/06/web1_Library-pic-1.jpgMister Pickles and library visitors are shown during a Tuesday morning program at the Greenfield library. 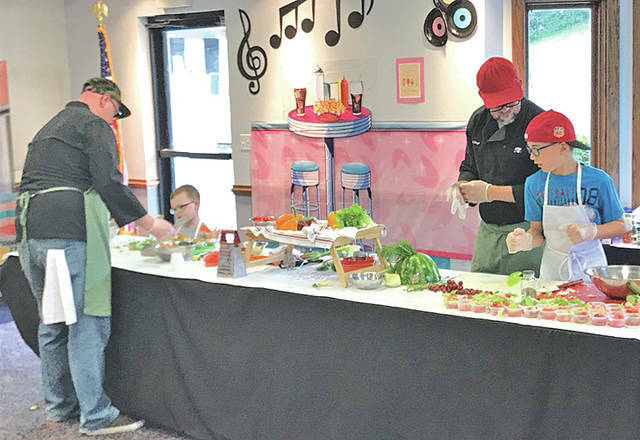 https://www.timesgazette.com/wp-content/uploads/sites/33/2018/06/web1_Library-pic-2.jpgChef Battle and others are shown during a recent Cooking Caravan event at the Greenfield Branch Library.